Well, now, Portlandia Foods is bringing mustards to market to complement their wonderful ketchup. Must try it. 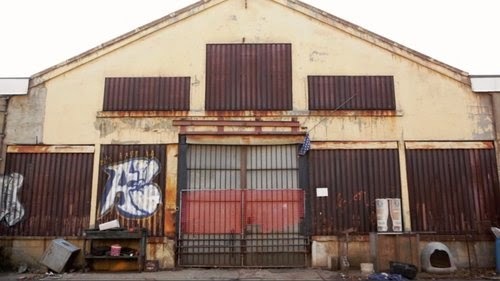 Here's a very touching short film about an elderly gentleman, Allan Hill, who calls space in the old, long-abandoned Packard automobile plant home. Filmmakers Ben Wu and David Usui of Lost & Found Films are the producers of this little piece of Americana. Check it out. Looks awesome... and only 375 pounds. Check it out at Road & Track... they've got a series of posts about it. 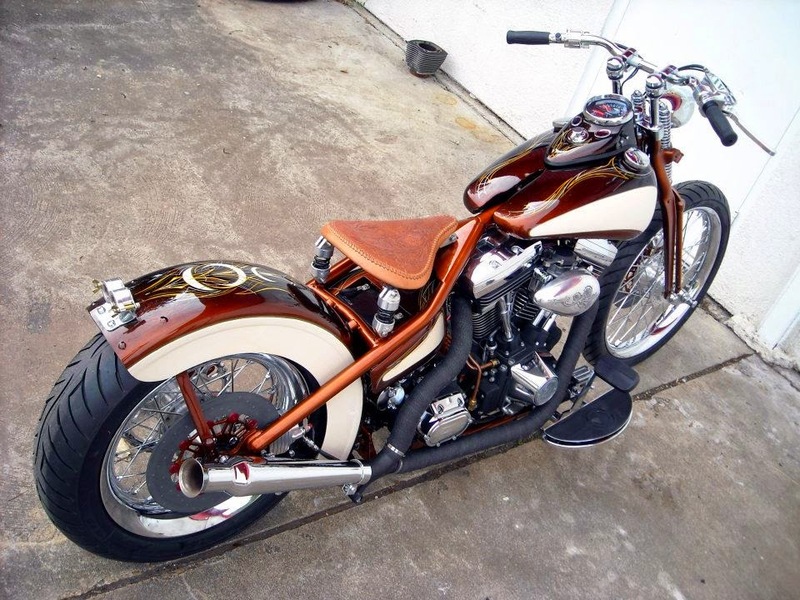 This root beer brown bobber was built by Kent Weeks of Lucky Devil Motor Works and presented at the the AMD Wold Championship bike build-off in Long Beach, CA in 2010. The Root Beer Float was built to order for Nyla Olsen of Bikernet. 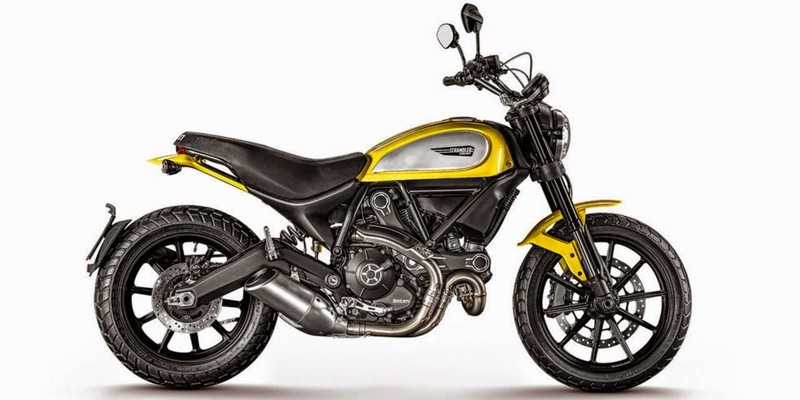 Bikernet has a multi-part series about the bike design and build. 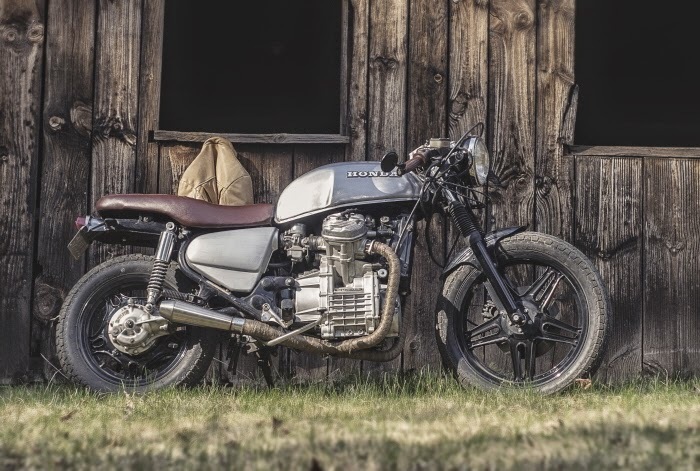 Industrial designer Colby Higgins transformed a rather beatup Honda CX500 cruiser into this very clean and simple cafe racer. More pictures here at his Coroflot portfolio. Cool retro-vintage styled custom front end from Vintage Voodoo. 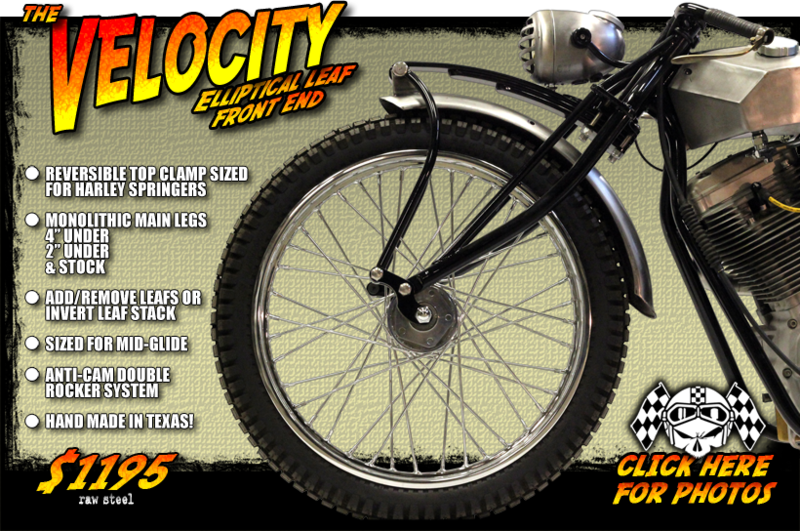 See the latest news regarding the Musket V-Twin here. The ORDER page is up now! 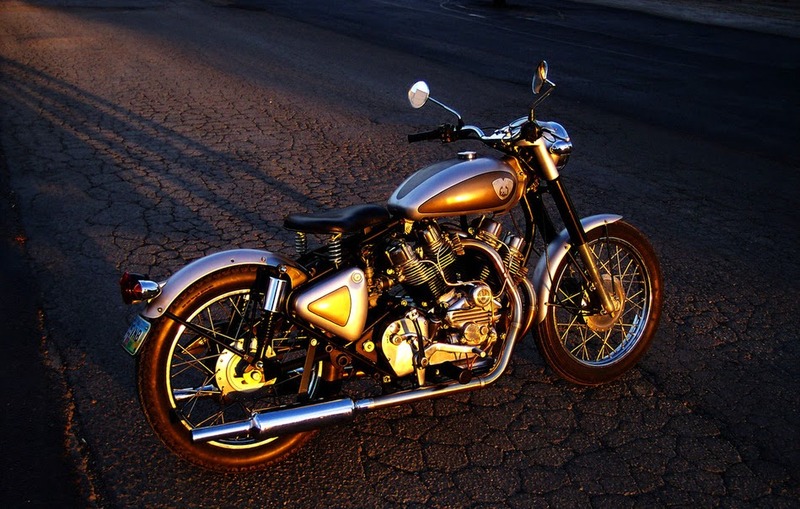 The Musket is a Royal Enfield special created by industrial engineer Aniket Vardhan. 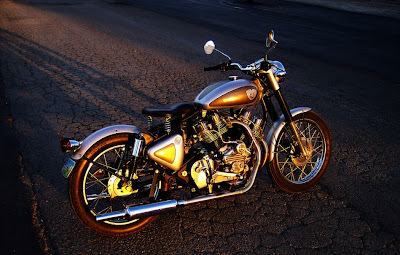 He designed and made casting patterns for a custom bottom end that used two stock Royal Enfield top ends, either 350cc or 500cc, to make a V-twin engine. It's a beautiful piece of work and is meeting with success in the marketplace. 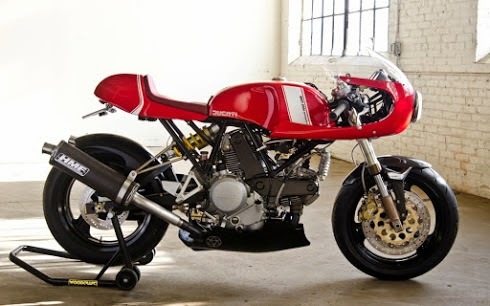 Absolutely beautiful Ducati cafe racers at one of our favorite motorcycle blogs, Inazuma Caferacer. 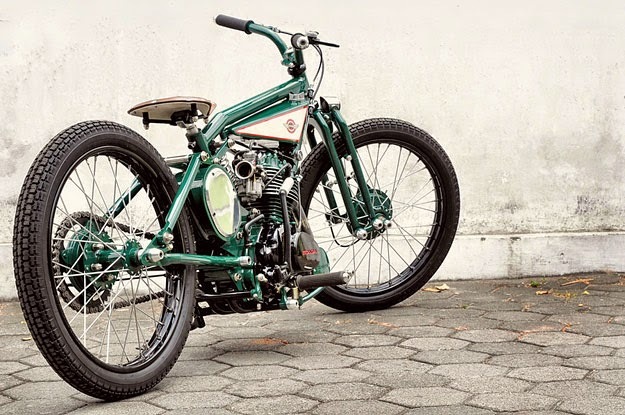 Here's a very cool little Honda with boardtracker styling from Daritz Design of Indonesia, courtesy of Bike EXIF blog. 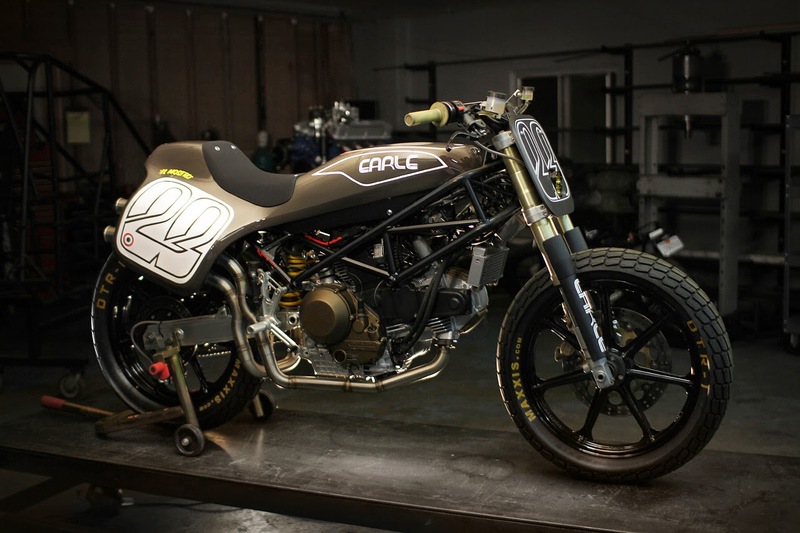 Alex Earle and his team at Earle Motors in Venice, CA designed and built this fantastic Ducati Monster-based streettracker. Earle announced last year that his company plans to offer the one-piece fiberglass body, fuel tank, wheels, and headlight assembly to builders in kit form. We believe that it is available now. Interested riders are directed to contact them at inquiries@earlemotors.com. Earle says that the bodywork and fuel tank can be easily adapted for Harley Sportsters and Triumphs. Anyone interested in one of those applications is also encouraged to email them for further information.